You spend every day of your life in your skin. Don’t you want it to look amazing? The look and feel of skin can easily fade over time, especially after thirty. Moisture can evaporate from the skin, leaving wrinkles and sunken features. Years of sun exposure can result in the sudden development of sunspots and permanently red skin. Any of these can happen to any of us, but if you want to restore the true look of your skin, you can talk to us about a custom treatment plan. We can build a plan to target any skin issue you have because we have so many treatments available that target everything that can go wrong with the skin in Vernon. Chemical peels and facelifts are just the beginning. Here are just some of the ways that we can help you learn to love your skin again. Here at DermMedica, you can get all the help you need to make your skin glow with a new life. Get help with any condition by calling right now for a consultation. See the information below to learn more about our treatments, technology and clinic. The latest skincare technology is less invasive and provides better results. That’s why we’ve focused on building an amazing collection of the latest machines that provide the latest in skincare treatments. Modern medical devices like he CO2 laser and the IPL laser are capable of contouring and recoloring skin without cutting it away. Fresh young skin is exposed, and the problematic spots begin to vanish. Here’s a longer look at how we can help you with our large variety of treatments. We don’t just help people with beauty, we help them deal with manage long-term skin conditions and finally solve skin problems that have frustrated them their whole lives. Botox and Juvederm, or a combination of the two, can completely refresh the face without any need for surgery. By tightening skin and using fillers to provide volume where it’s fallen away, your young appearance can be fully restored. Wrinkles aren’t the only thing that comes with age. At a certain age, the growth of moles and other unwanted spots on the face, neck, and shoulders seems to accelerate. You don’t have to live with the look or feel of these unwanted growths. They can be removed entirely, and the skin underneath them can be refreshed to aid in the healing process. 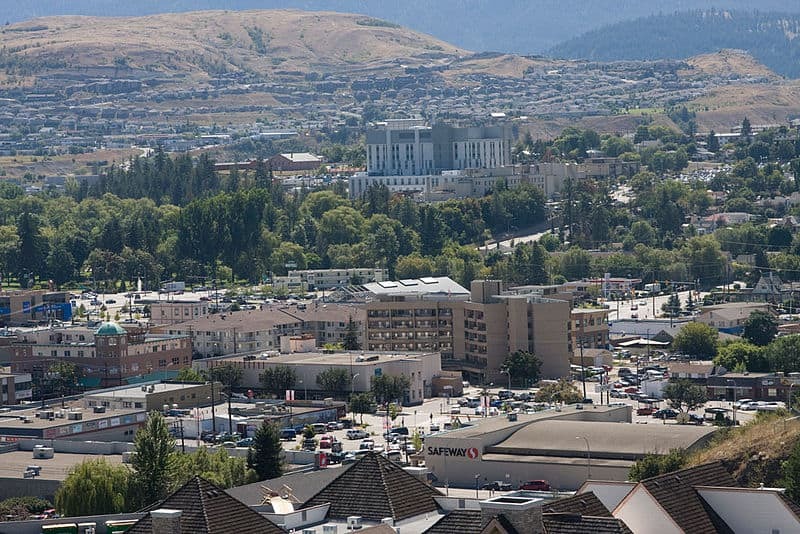 Do You Have Medical Conditions in Vernon? DermMedica is a doctor-owned and led clinic, so we go beyond cosmetic treatments. The latest technologies are used to treat temporary and permanent skin conditions, some of which only had effective treatments a short time ago. We can also treat many other skin conditions that leave marks on the skin. Even if your marks are years old-as is often the case with our acne scars clients-you may be able to remove them or at least cause them to be far less evident than they are right now. 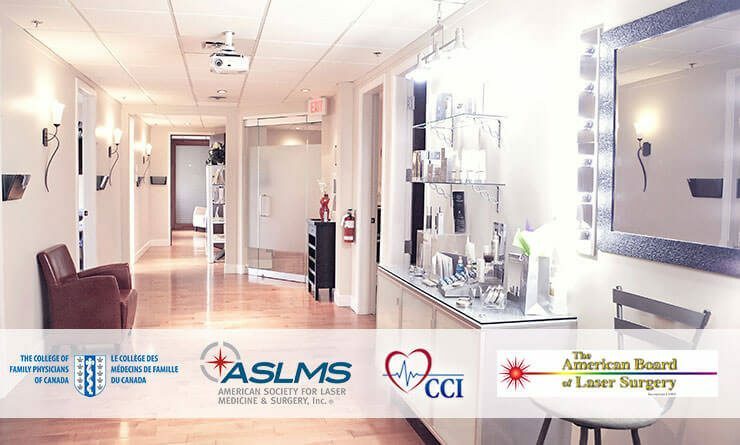 Our vein clinic is one of the biggest draws of visitors from Vernon. Our sclerotherapy machines are effective at dealing with large and painful veins. Both spider veins and varicose veins can be effectively treated here. Something doesn’t have to be wrong for you to want something different. Fortunately, our treatments allow you remove unwanted hair, tattoos, and now, the fat that’s giving you trouble. Laser hair removal has been around for a long time and it’s now greater than ever. Though Vernon isn’t known for its beach weather, you can still take advantages of our laser hair removal by having hair removed anywhere. If you’re just tired of shaving, we have the treatment you need to get rid of hair permanently. In addition to unwanted hair, unwanted tattoos can be removed more effectively than ever before. In the past, earlier treatments couldn’t even target certain colors, meaning many people with tattoos were stuck waiting for a solution. Now, that solution is ready and available. Tattoos of all sizes and colors can be made heavily diminished or completely removed. And thanks to the latest innovations in fat reduction, weight loss doesn’t involve liposuction; it doesn’t involve cutting at all. The answer to stubborn fat, especially fat located around the midsection is the new treatment: Coolsculpting. Coolsculpting works like no fat-loss technology before. It uses a special wave to freeze the fat cells within the body without cutting into the body. When the cells are frozen, they die over the course of several weeks and then are carried out by the body’s natural waste-removal processes. It’s important to make educated and informed decisions before choosing a skin care professional you can trust. That’s why we ask you to participate in a full examination and consultation before we decide the best course of treatment for you. We are available to answer any questions you might have about any of our skin care services and treatments. Please call or visit our skin care clinic near Vernon to find out how we can help you rejuvenate the skin you’re in.